This post first appeared over at Real Housemoms where I was a contributor. When it comes to Thanksgiving entertaining, I am all about keeping things easy. I have hosted dinner for my family almost every year for the past five years, so I definitely have a system down by now that keeps my Thanksgiving morning running smoothly and virtually stress free. The house is cleaned top to bottom by the whole family the day or two before Thanksgiving. Pies get baked the day before. I break out both of my slow cookers to prepare side dishes so I can keep the oven free for the real star of the Thanksgiving dinner table. The only thing I really have to worry about the day of the big dinner is roasting the turkey. Keeping our annual family Thanksgiving dinners fuss free and simple makes the turkey day more enjoyable for not only the guests, but for the dinner hostess as well. 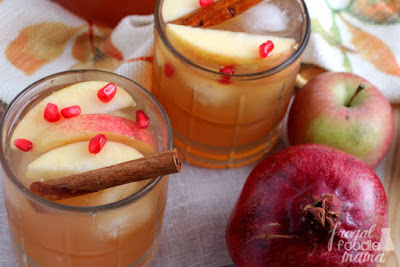 ;) Even the cocktail I will be serving to my dinner guests this year will be quick and easy, requiring only two simple ingredients to make! 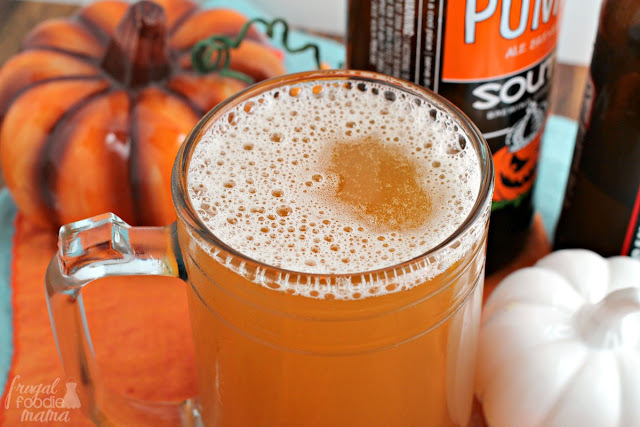 For this year's Thanksgiving dinner, I will be whipping up this perfect for fall Pumpkin Ginger Shandy. 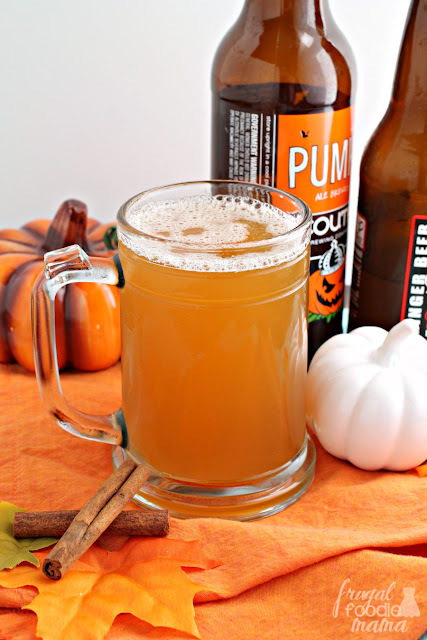 This cocktail is literally a half and half mixture of your favorite pumpkin ale and ginger beer. 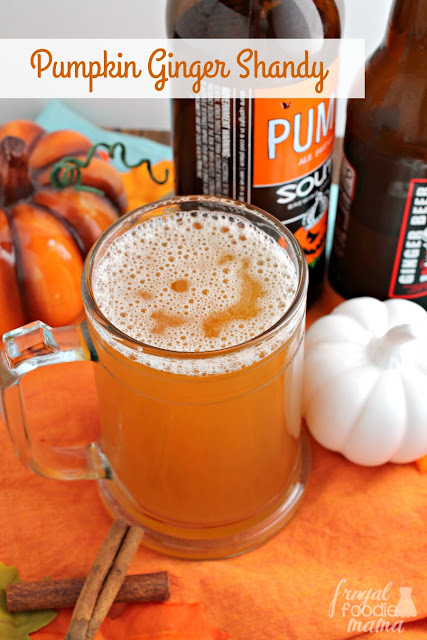 You get a smooth spiced pumpkin flavor from the ale and a nice ginger bite from the beer. It will pair perfectly with roasted turkey and would also be fabulous to serve alongside a nice slice of homemade pumpkin pie. Split the bottle of pumpkin ale between two 12 oz or larger glass mugs or glasses. 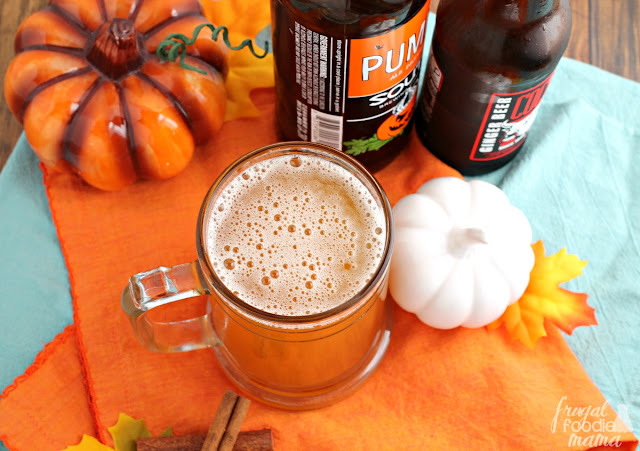 Top off the pumpkin ale in each glass with half of the bottle of ginger beer. Give a quick stir, & then serve immediately. 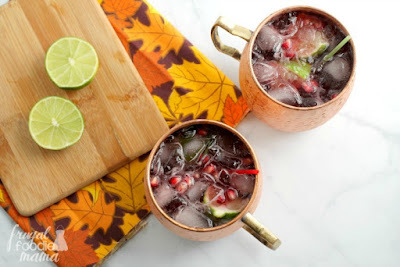 What is your favorite cocktail to serve with Thanksgiving dinner?